The Trust for Public Land protects the places people in Minnesota care about. From parks in Minneapolis and Saint Paul to the rivers, woods, and prairies of Minnesota, we don't just save land – we save land for people to enjoy. Our mission is to create parks and protect land for people, ensuring healthy, livable communities for generations to come. Every park, playground, or public space we help create is an open invitation for everyone to explore, wonder, discover, and play. The Trust for Public Land works with communities large and small to put a park, trail, or natural area within a 10-minute walk of every Twin Cities resident. At The Trust for Public Land we work to ensure that everyone has equitable access to the multiple benefits of parks and natural space. The Minnesota's Rivers program works to protect or reclaim lands within the Mississippi, St. Croix and Minnesota Rivers watersheds to provide important recreational resources, safeguard drinking water, and support critical habitat. The Trust for Public Land established Forever Northwoods to protect the iconic landscapes of northern Minnesota, Wisconsin, and Michigan. In 2010, The Trust for Public Land protected an additional 64 acres for Allemansrätt Wilderness Park in Lindstrom. In 2014, we helped add the Lake Cabin, an emigrant house from the 1890s, and a 30-acre peninsula with beautiful lakefront views. The Trust for Public Land worked with the state Department of Natural Resources to protect 128 acres of Blakeley Bluffs as an addition to the Ney Wildlife Management Area. In the Brainerd Lakes area, The Trust for Public Land led an effort to purchase a working forest conservation easement over 4,776 acres of prime forestland owned by the Potlatch Corporation. The Trust for Public Land led the effort to transform a 27-acre industrial site located in St. Paul's East Side into a park and nature sanctuary in honor of late Congressman Bruce Vento. The Trust for Public Land purchased Long Island in Minnesota's Burntside Lake, at the headwaters of the Boundary Waters Canoe Area Wilderness and across from Listening Point, which inspired conservation writer Sigurd Olson. TPL helped project Camp Ojiketa, a popular camp area, as a regional park, owned and managed by Chisago City. The Trust for Public Land is working to conserve critical habitat around the Cannon River, less than an hour’s drive south of the Twin Cities. This region has recently suffered loss and fragmentation of wildlife habitat due to development and intensive agriculture. Artists Anthony and Cheryl Caponi created a unique "art park" on their 60 acres of rolling meadows and woodlands in the Twin Cities suburb of Eagan, Minnesota. TPL has helped protect over 500 acres across from the existing 434-acre Rum River Central Regional Park that will eventually open as the Cedar Creek Conservation Area in Anoka County. Over the years, the Cannon River Watershed, south of the Twin Cities, has lost significant wildlife habitat to agriculture and development. The Trust for Public Land’s acquisition and conveyance of 160-acres to the Minnesota Department of Natural Resources (DNR) of the new Circle Lake State Wildlife Management Area (WMA) is part of a larger effort to protect wildlife habitat in the watershed while creating new opportunities for public recreation. Located on the north shore of Circle Lake, the WMA includes high-quality marshlands, rolling upland forests, and grassy knolls with views of the lake. Less than an hours’ drive from the Twin Cities, Circle Lake WMA provides new public access to the lakeshore and adjacent lands for fishing, waterfowl hunting, and exploration. Located only 30 miles southwest of Minneapolis, in Lake Waconia, "Coney Island of the West" is a relic of the days gone when city dwellers vacationed at nearby lake resorts. Beginning in the late 19th century, hotels, cabins, and dancehalls on the island attracted visitors from near and far. Today, only the crumbled remnants of these structures remain, overwhelmed by resurgent nature. This state wildlife management area (WMA) along the Crow Wing River offers exceptional public recreation while providing significant water-quality benefits. Extending more than three miles along this major Mississippi River tributary, the WMA's mixed pine and hardwood forest is a great place to hunt, fish, observe wildlife, or go canoeing. Located only 30 miles northeast of the Twin Cities, Crystal Spring Scientific and Natural Area (SNA) offers the region's 3.3 million residents a close-to-home opportunity to experience unique flora and fauna. Acquired with help from The Trust for Public Land in 2015, this 38-acre, state-owned SNA encompasses significant biodiversity, thriving communities of native plants, and habitat for several rare species of birds and plants. The SNA's dramatic geologic features include a scenic waterfall, steep rocky cliffs, a winding cold-water stream, thick old forests, and panoramic views of the National Wild and Scenic St. Croix River. For years, a battle raged between local conservation-minded landowners and would-be developers of over 260 acres of Dead Lake shoreline. Proposed development included 151 residential housing units, a general store, a restaurant, two swimming pools, a marina, and mooring facilities. In fall of 2011, The Trust for Public Land conveyed 510 acres near the headwaters of the Cannon River to the Minnesota Department of Natural Resources, which will be managed as the new Dora Lake Wildlife Management Area. TPL helped conserve 670-acres for the East Rush Lake Wildlife and Aquatic Management Area in rapidly growing Chisago County. Located in Le Sueur County between Gorman Lake and Lake Olney, Factor State Wildlife Management Area (WMA) provides rich habitat for waterfowl, deer, pheasant and turkeys. The Trust for Public Land acquired and conveyed 53 acres to the Minnesota Department of Natural Resources to enlarge the WMA. In 2013, we worked with the Amherst H. Wilder Foundation to secure 12.7 acres in the heart of the neighborhood and transfer it to the city. Now, we're raising funds to help transform the site into a recreation area, nature sanctuary, and demonstration farm operated by local nonprofit Frogtown Farm. In 2013 The Trust for Public Land protected Gaul Island as an addition to the Burntside Islands Scientific and Natural Area. Like Long Island, which we helped protect in 2008, the island is part of the viewshed from Sigurd Olson's historic Listening Point. Nestled on the rugged North Shore of Lake Superior, the village of Grand Marais has provided a unique and inspirational setting for recreation, the arts, and community gatherings for generations of residents and visitors. In 2001, we helped the community realize its dream of a unified and protected public shoreline along the city's historic harbor. In 2018, The Trust for Public Land added 116 acres near Howard Lake to the Grass Lake Wildlife Management Area (WMA) in Wright County, Minnesota, within an hour’s drive of Twin Cities’ residents. The Minnesota Department of Natural Resources manages WMAs for wildlife habitat and public recreation. Since the 1980s, public agencies and recreationists have sought to improve public access to Lake Minnetonka, a popular boating and fishing lake 15 minutes from downtown Minneapolis. Several years ago, the owner of the private Gray's Bay Marina and Resort decided to retire. The Trust for Public Land is leading a collaborative effort to integrate new parks and green space into the communities along the Green Line, an 11-mile light-rail corridor that will run between Minneapolis and Saint Paul. The Trust for Public Land protected this new Minnesota Department of Natural Resources Wildlife Management Area (WMA) in the popular Brainerd Lakes region, which is under considerable development pressure. For generations, the private timberlands of Minnesota's Northwoods have supported jobs, provided wildlife habitat and clean water, offered recreation to local residents, and attracted millions of visitors each year. But as rising land values make land more valuable as real estate than timberland, land is being broken up and sold for second-home development. The Trust for Public Land is working to protect 43 acres wedged between Kremer Lake and the Edge of the Wilderness Scenic Byway in the heart of northern Minnesota's Chippewa National Forest. La Salle Lake is Minnesota's second-deepest lake. In October 2011, The Trust for Public Land helped conserve 1,000 acres surrounding the lake, creating connections between existing public lands. Located just north of the town of Franconia, the new Lawrence Creek Scientific and Natural Area (SNA) protects natural features and rare resources of exceptional scientific and educational value. Created with The Trust for Public Land's help in 2017, the new 72-acre SNA features a mature hardwood forest of maples and oaks along a crystalline creek that flows, less than a mile downstream, into the Wild & Scenic Lower St. Croix River. The new SNA will provide excellent opportunities for nature study, outdoor education, scientific research, and other non-motorized recreation. Visitors are welcome to hike, ski, or snowshoe on the land. Limited hunting is allowed. TPL worked with the state and local partners to secure funding that ensures the permanent protection of Lester Lake in Minnesota's North Woods. For years volunteers in Minnesota's Scientific Natural Area program hoped to see this 120-acre "botanist's delight" in Washington County protected. In partnership with several other conservation organizations, The Trust for Public Land is working to permanently protect high-quality habitat for fish and wildlife along the Mississippi, Minnesota, and St. Croix rivers and their tributaries in the Twin Cities region. The Trust for Public Land recently purchased five acres near Skyline Tower and transferred the parcels to the City of St. Paul. In the coming years, we will help guide the community through the process of designing, funding, and building a brand new, much-needed park. The Trust for Public Land worked with two local nonprofits—The Sustainable Resources Center and The Green Institute—to permanently protect these gardens. In the 400 miles below its origin at Lake Itasca, the Mississippi River provides habitat for fish and other wildlife, hosts annual waves of migratory waterfowl, and is a favorite destination for hunting, fishing, birding, boating, and hiking. Much of the land along this stretch of the river is privately owned and subject to development or conversion to agriculture. For several years, The Trust for Public Land and several partner organizations helped protect this property, linking it to nearby conservation lands, and creating a nine mile stretch of protected land along the river. TPL helped protect Nisswa Lake, part of the 13,000-acre Gull Lake Chain, a popular fishing, boating, and swimming destination in the central part of the state. 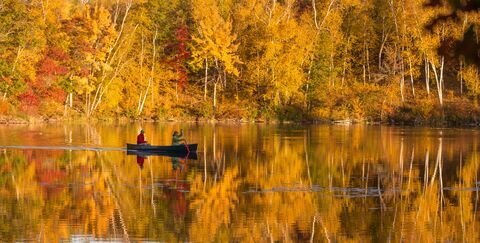 North Long Lake is one of the Brainerd tourist area's largest and most popular lakes for fishing, hunting, hiking, and wildlife observation. Surrounded by forest and marshland, this deep-water lake drains into the Mississippi River and supports an excellent fishery. When we asked people who live, work, and play in Northside Minneapolis what kind of fitness area they might like, they told us: something unique that could be used by neighbors of different ages, and that was social, encouraging interaction with others. They also wanted it to look and feel like it had been made in the community, rather than on an assembly line. The result is the People-powered carousel, a merry-go-round driven by the people who pedal it. When highway construction threatened Pike Lake, a haven for wildlife and a popular recreation spot, the city of Prior Lake asked The Trust for Public Land for help. Native Dakota people once performed ceremonies on this hill overlooking the junction of the Mississippi and Minnesota Rivers in the Twin Cities suburb of Mendota Heights. Along the Mississippi River in Inver Grove Heights, TPL continues to secure key properties that compose the Pine Bend Bluffs Scientific and Natural Area. TPL helped add land to the Pipestone National Monument, a unit of the National Park Service that protects archaeological resources and natural features such as Winnewissa Falls on Pipestone Creek. In 2005, The Trust for Public Land worked with Washington County and a private landowner to convert an abandoned rail corridor into a missing-link bike-and-pedestrian trail between Hastings, Minnesota, and Prescott, Wisconsin. Located near where the St. Croix National Scenic Riverway meets the Mississippi River, the bucolic, 2-½-mile path connects trail-users to Point Douglas beach and a new visitor center and interpretive trail on the Mississippi River in Hastings while also improving access to the Carpenter Nature Center, a mile further north. 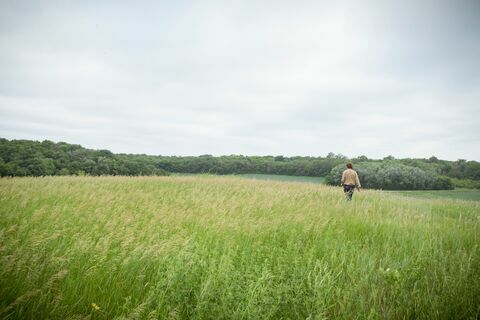 To ensure that everyone can their property as a wildlife haven, the Koester family worked with The Trust for Public Land and the Minnesota Department of Natural Resources to transform 460 acres of their land into the Prairie Creek Wildlife Management Area. The region around St. Cloud holds some of the fastest growing communities in Minnesota. At the edge of this sprawling region, Quarry Park and Nature Preserve offers rich history, diverse resources, and a variety of recreational activities, including SCUBA diving, rock climbing, cross-country skiing, and trout fishing. This Olmsted County park protects a section of the historic Root River stagecoach trail, preserves a biologically significant area, and creates new recreation opportunities. When Harold and Doris Sabo approached retirement, they decided to sell their 2,500-acre Clearwater County farm bordering the Red Lake Chippewa Reservation in northern Minnesota. Thirty minutes southwest of the Twin Cities, Savage Fen Scientific and Natural Area (SNA) is an ecological treasury that became almost 70 acres richer in late 2010. The Trust for Public Land recently announced the protection of over 170 acres on the Mississippi River in North Central Minnesota as part of its ongoing Mississippi Headwaters Program. The recently protected land is over 170 acres of mixed hardwood forest with approximately 1.25 miles of undeveloped frontage on the Mississippi River. 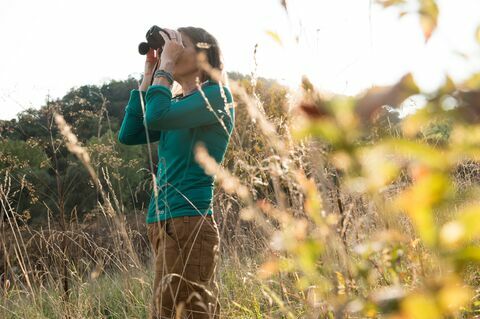 In partnership with The Nature Conservancy and Minnesota Land Trust, The Trust for Public Land is working to create and expand conservation areas in the blufflands, to protect important wildlife habitat, and to improve access to recreation across this singular region. In 1960, the Sisters of the Order of St. Benedict purchased a rolling glacial moraine in Maplewood as site for a college and retirement home. For four decades the land remained open as Maplewood expanded and developers sought to purchase the property. To the delight of local anglers, boaters, campers, skiers, snowmobilers, and conservationists, The Trust for Public Land has protected 40 pristine acres along Leech Lake, including a half mile of shoreline, as an addition to Chippewa National Forest. TPL helped protect the Sugar Hills property, which contains a popular ski trail system, clear water creeks, a 14-acre lake, and "Big Thunder Peak," one of the state's highest named summits. Within a half-hour's drive of St. Paul, the 475-acre site known as Vermillion Empire View offers a host of opportunities for outdoor recreation. Victoria Lake, along the Wild and Scenic Ontonagon River on Michigan's Upper Peninsula, is a favored destination for hunting, fishing, camping, hiking, and boating. Much of the land in this outdoor paradise is protected in Ottawa National Forest, but in other places, private parcels block public access, threaten water pollution, and complicate management of the national forest. The Trust for Public Land helped protect this now-rare remnant of the Big Woods ecosystem that once dominated the southeastern third of Minnesota. A 60-acre gem located in Lake Vermilion's Wolf Bay, Wolf Island is a place of legend and lore, with historical ties to both Native Americans and Voyageurs. Located in the Driftless Area, the newly protected Yucatan Wildlife Management Area was formerly operated as a Girl Scout camp. Since its recent closure, the camp's beautiful landscape has been threatened by increased development pressure and the conversion of nearby natural lands to agriculture.